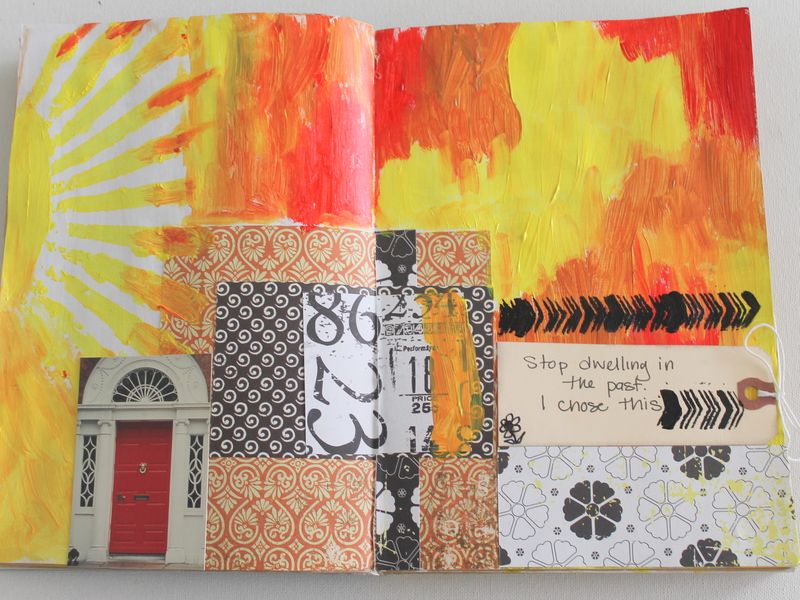 This is my latest art journal page. 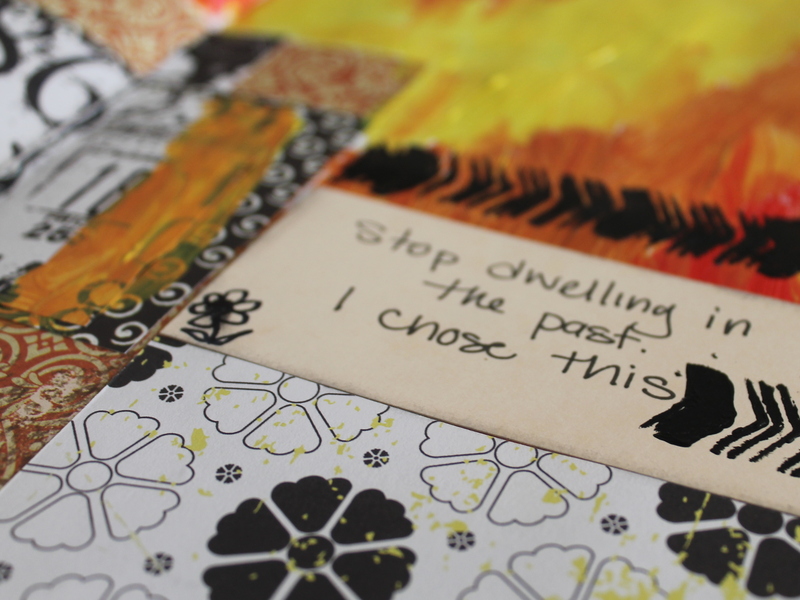 I had jotted down a little note on a post it that said, “Stop dwelling in the past. I chose this” and stuck it in my journal. The “I chose this” part comes from Danielle LaPorte. I really latched onto it because I was really dwelling on something that happened to me and having a big old pity party about it. But the thing is I chose my response to what happened. I made a decision and that decision was entirely in my control. Reminding myself that I made the choice that I did changed everything about the situation for me. No, I did not cause the crappy situation. But I am responsible for and in control of the decisions I made about it. I chose my response. That made me in control and it makes me feel a whole lot better about it. The “stop dwelling in the past” part is about me getting over my pity party. What’s done is done. 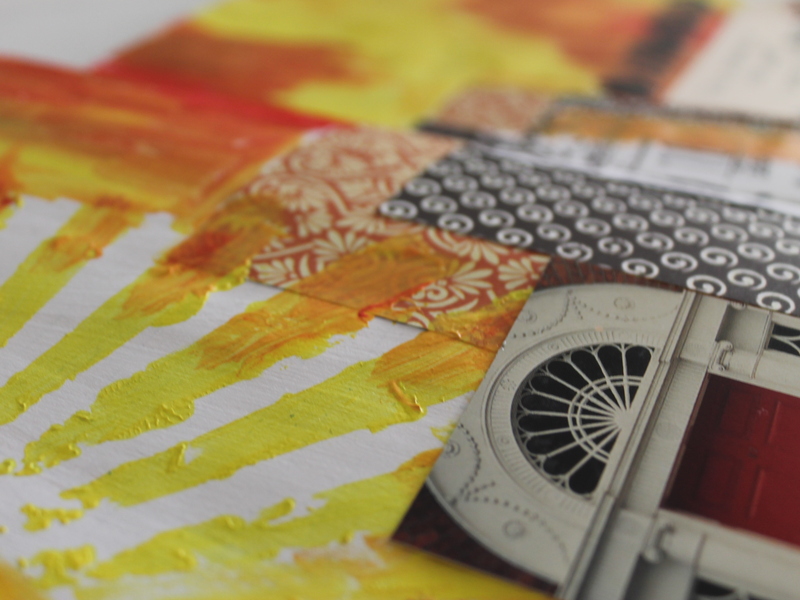 For my page I used lots of acrylic paints in colors I don’t normally tend to use: yellow, oranges and red. Then I used some scrapbook paper to layer and a door that was a part of a postcard. I wrote my little message on a tag that I cut down a little. I also added the chevron stencil, but was trying to invoke more of an arrow, like I’m moving on. Is there something you’re working on yourself? Maybe a little art journaling would help. Stay tuned ’til Tuesday! 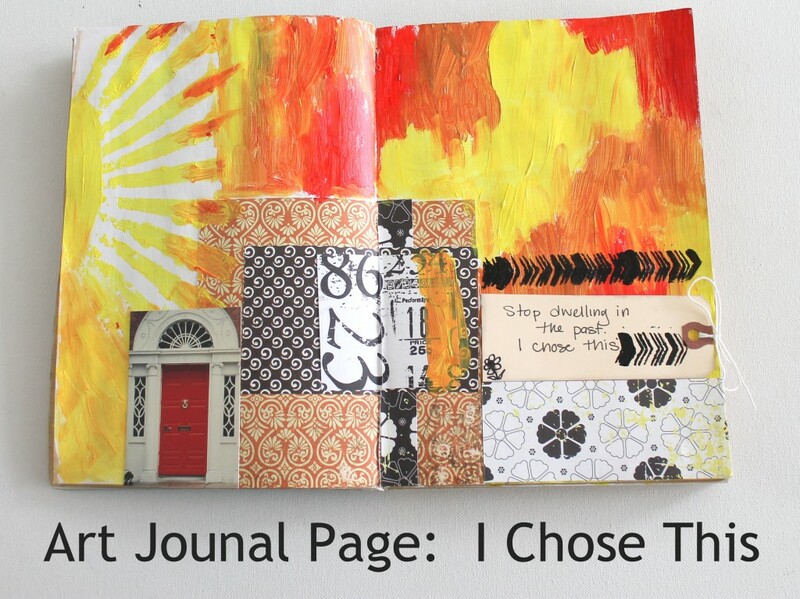 The next ECT TV episode will be a piece of jewelry inspired by this very art journal page! P.S. 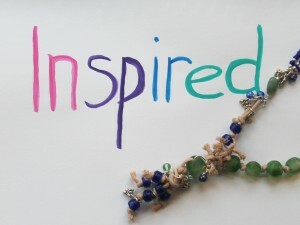 If you’re interested in diving deep into art journaling as inspiration for jewelry pieces, check out my new Inspired eCourse! You’ll get an intro then 4 weeks of lessons that include an art journal prompt/activity, a map to pull out the inspiration from the art journal page and translate it into jewelry and a jewelry tutorial each week. Plus you’ll get a surprise package of jewelry making supplies that goes along with one of the weeks! This entry was posted in Art Journal and tagged art journal, creativity, Dwelling in the past, I Chose this, inspiration, paper by Kimberlie. Bookmark the permalink.